Small businesses are four times more likely to fall victim to crimes of theft and burglary than residential homes. Yet there are still many business owners that don’t see the full value or benefit to a holistic approach to security and surveillance. While almost all businesses have alarm systems in place as a precaution against forced entries after hours, there are many crimes that can take place right under your nose. Having a security camera system in place with 24 hour recording is the best possible witness to a crime. As they say, the camera doesn’t lie. Security cameras are so important, in fact, that when a business falls victim to a crime and they don’t have a security camera system, there’s only a 10% chance that police will solve the crime. Below are 4 crimes you can fall victim to in broad daylight. According to the National Association for Shoplifting Prevention (NASP), nearly $13 Billion dollars worth of goods are stolen from U.S. retailers each year due to shoplifting. In relation to this, take into consideration the fact that only 1 in 48 shoplifters are ever caught. There are many shoplifters that started when they were young, and continue well into adulthood simply because they were never caught. While store layout and number of attentive staff can be a good preventative measure, a well thought out security camera system is going to be the best prevention. In the event that someone is caught shoplifting there’s nothing more reliable than recorded video evidence. 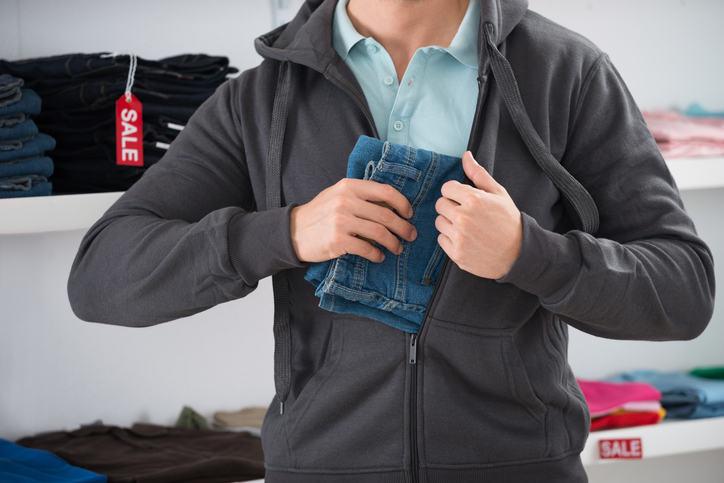 Employee theft is an even greater epidemic among business owners than shoplifting. It’s estimated that around $50 Billion dollars is stolen by employees each year in the U.S. If that wasn’t bad enough, 33% of businesses declaring bankruptcy cite employee theft as the cause. Many believe that this type of theft is brought about by desperation, such as an employee being forced to steal in order to pay rent or buy groceries. But the reality is that employee theft is a crime of opportunity, and it can be committed by anyone within an organization. Good bookkeeping and attentive management can be effective prevention in instances of employee theft. But when dealing with stolen products, or money missing from the register, a security camera system is going to be the cold hard evidence you need to prosecute a suspected employee. On average a single act of vandalism will cost $3,370 to repair. While large Corporations tend to have a budget set aside to clean up vandalism, most small to medium businesses simply can’t afford the unnecessary expense. The biggest trouble with vandalism is that it often leads to unnecessary expenses regardless of whether or not the perpetrator is caught. Commonly acts of vandalism are caused by teenagers and young adults between the ages of 15 to 20. Even if an arrest and conviction is made, they will most likely wind up doing community service, and you’ll still be stuck footing the bill for the eventual clean up. The real key to offsetting this cost is proactive prevention. Sometimes just having security cameras isn’t enough. It’s important that the cameras are visible with clear signage stating that the premises is being monitored. In most cases a crime of vandalism can be thwarted by good lighting, visible cameras, and good signage indicating that the premises is being monitored. It’s estimated that credit card fraud losses will climb to as much as $10 billion dollars by 2020. This is due to the increasing number of data breaches among online social media websites and online banks. According to a survey by ACI Worldwide, nearly 1 in 3 consumers worldwide have fallen victim to some type of credit card fraud. Sometimes it may seem that criminals are getting smarter. Many crime rate statistics continue to rise, and it can be frustrating for small to medium business owners. The truth is, crime rate statistics may be on the rise because our ability to catch and prosecute criminals is becoming more sophisticated. We may not be dealing with a matter of crimes increasing, but in fact potentially the same number of crimes are less likely to go unnoticed. This is due in part to the vigilance of business owners who pay closer attention to crime trends and put into place prevention measures. But it’s also due to the fact that security cameras and surveillance equipment have become more affordable and more widespread. As technology continues to advance and information finds more ways of being shared one thing is for certain, it’s the diligence of business owners that continues to help keep criminals in check. Do You Really Want To DIY Your Alarm? Copyright ©2017-2019, SecurePRO Inc. All Rights Reserved.